This is it. Really this time. 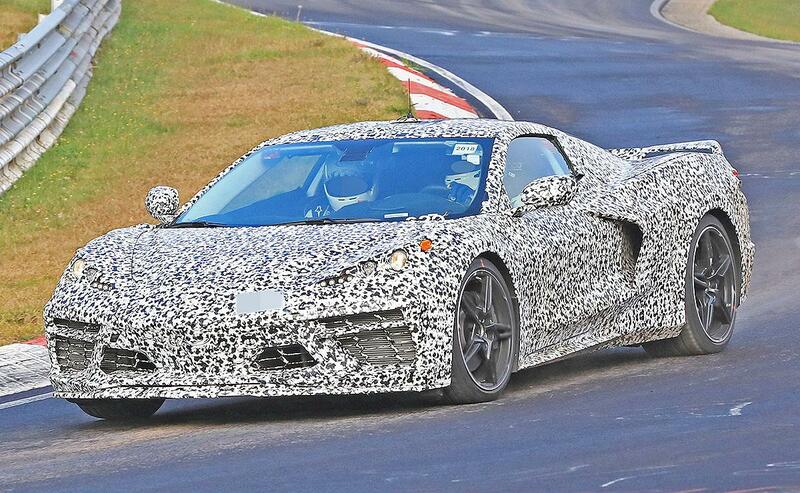 This is the midengine Chevy Corvette, aka C8, in near-production form presented in what's by far our best view yet. Here’s a quick recap of what we know. 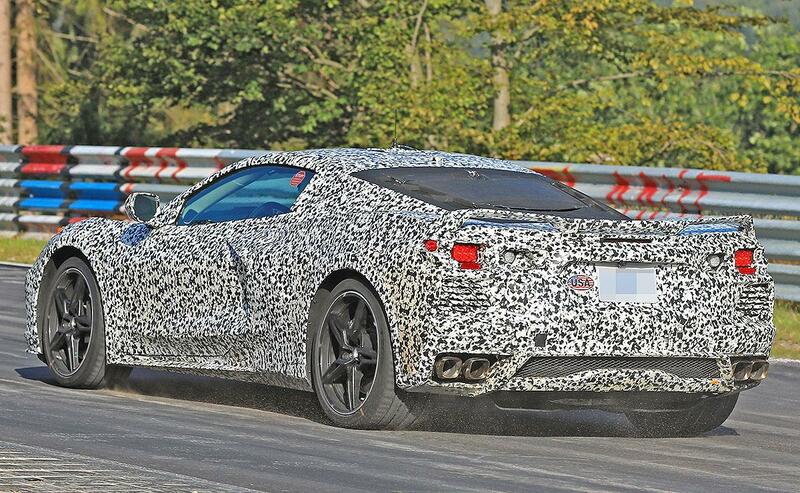 First, the next-generation Corvette will probably get a more powerful version of the current 6.2-liter LT1 V-8 engine. We could also see turbocharging, and we definitely expect more power than the current ZR1’s 750 hp. It will have a dual-clutch transmission, but hopefully it will be optional along with a manual (though that’s doubtful). We’ll also be looking at lightweight materials such as aluminum, carbon fiber and fiberglass. Surely GM’s MagneRide will make an appearance and it will be world-beater fast. But back to the pictures at hand. We could already see the cab-forward design of the midengine ‘Vette. But now we can see the huge side air scoops to cool whatever powerplant goes back there. We can also see new vents in front to cool oil or transmission fluid. The headlights still look concept-y to the eye, but maybe that’s just the way they’re covered. In back, too, we get basically a full view of what's going on. There appear to be heat extractors on the flanks, quad exhausts at the corners and a very restrained-looking rear wing. The rear hatch also looks to have some vents, and we can't wait to see what Chevy will do with that V-8 engine to make it look presentable. The brakes look like standard iron jobs, though surely we’ll see available carbon ceramics at some point. We get a few shots of the interior, though that’s mostly camouflaged as well. We get a teeny corner of what looks to be a central navigation screen, but where the shifter would go is all smartly covered. We expect the C8 to debut next year as a 2020 model-year vehicle, but we don’tthink it’ll happen at the Detroit auto show. We’ve heard rumors Chevy will sell both the C7 and C8 at the same time, similar to the Jeep Wrangler, but that’s not confirmed either. Regardless, the slow tease is coming to an end.